A number of conservative measures can help take stress off the plantar fascia and encourage healing, including Icing, Taping the arch and bottom of the foot, Stretching, especially the calf, Avoiding walking with bare feet, especially on hard surfaces, Wearing orthotics or arch supports, Taking over-the-counter anti-inflammatories. If these methods fail, we generally try one of two things, A cortisone injection can help reduce swelling. Often a single injection will do the trick, but occasionally a second injection may be needed. Alternatively, we can try extracorporeal pulse activation therapy, or EPAT. 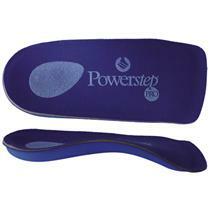 This method uses sound waves to penetrate to the plantar fascia and stimulate the body’s healing response. We typically do one treatment a week for three weeks, with complete healing taking between nine to 12 weeks.